Spacesaver is a trusted partner to a variety of institutions, and we can help save space and improve efficiency at any off-site facility. Our project management teams work with local distributors to provide on-site planning assistance and installation services, as well as long-term maintenance. Libraries and archives are trying to fit an increasing number of irreplaceable materials into a decreasing amount of storage space. This is of particular concern for institutions that need to maintain and expand their collections while offering more open, flexible workspaces such as collaborative work areas, classrooms, makerspaces, and meeting rooms. Moving seldom-accessed materials to an off-site library shelving system can free up space to update a library’s service offerings. 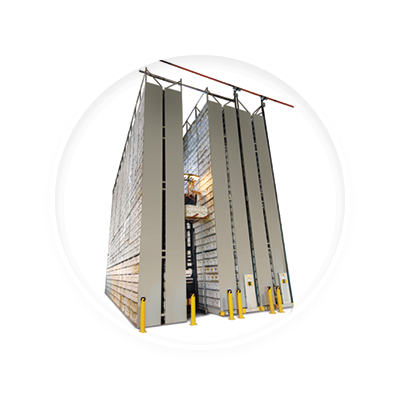 Designed specifically for off-site storage, high-bay systems provide optimal space efficiency, accessibility, and protection for stored materials. in off-site facilities and extends up to 35 feet high to make the most of the vertical space in your facility. 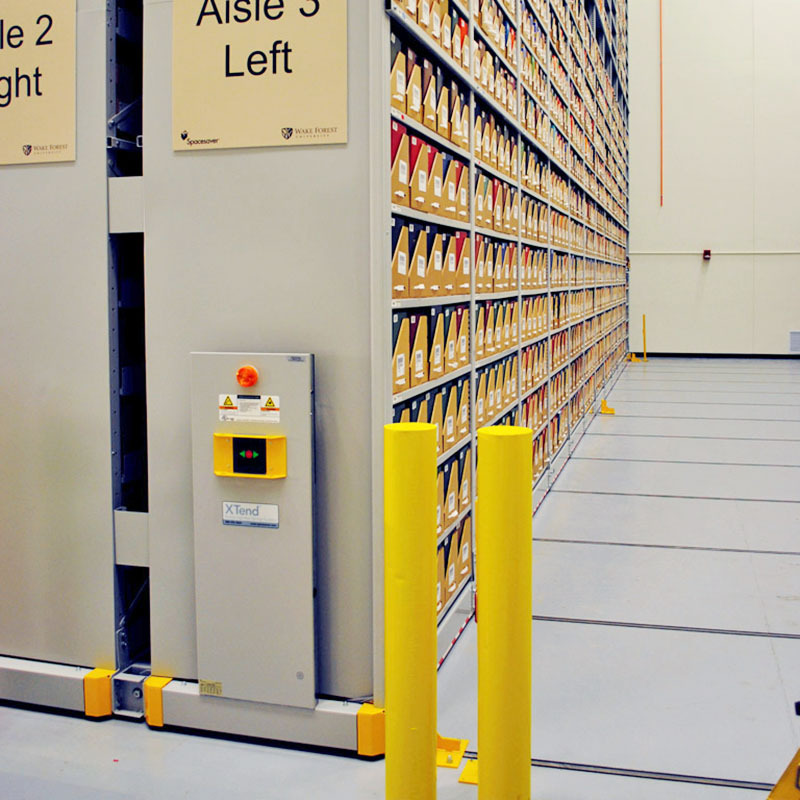 Prestigious libraries around the U.S. and Canada have recently installed high-bay shelving for a number of reasons. Some are landlocked in urban locations and/or on campus and can’t build an addition simply because there is no space available for expansion. In areas where adjacent lots or other parcels are available, the high price of real estate can be prohibitive. Some libraries are located in historically or architecturally significant buildings, and building an expansion would damage their aesthetic appeal. Contact us to learn how to make the best use of your space.